I’ve saved a lot of money this year by doing one simple thing every day – making coffee at home. For years, I’d visit our local drive thru coffee chain and order an XL three cream for me and an XL triple triple for John. Over a year, that daily amount really adds up! Not only am I saving money making my own coffee, but I love the coffee I make at home. You can make amazing coffee at home. You just need some good beans and a coffee brewer! 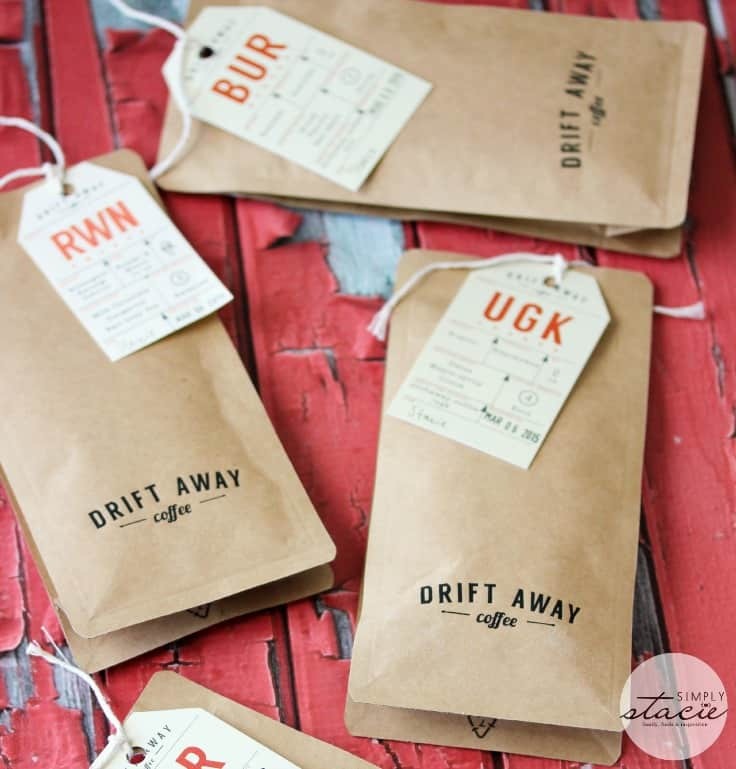 If you are a coffee fiend like me, you need to look into Driftaway Coffee. They are a coffee subscription service that sends you only the flavours you enjoy. Once you subscribe, they’ll send you a few different roasts. You try them out and tell them which ones you liked the best. Then for the future shipments, they’ll send you your preferred roasts each month. They change their coffee roasts every four weeks so you’ll always be trying new roasts and drinking ones you enjoy! Not only does Driftaway Coffee want you to enjoy their fresh premium roasts, but they also want to educate you about coffee. Their site is full of info about how to brew a darn good cup of coffee. I also received some tips in my package along with my beans. 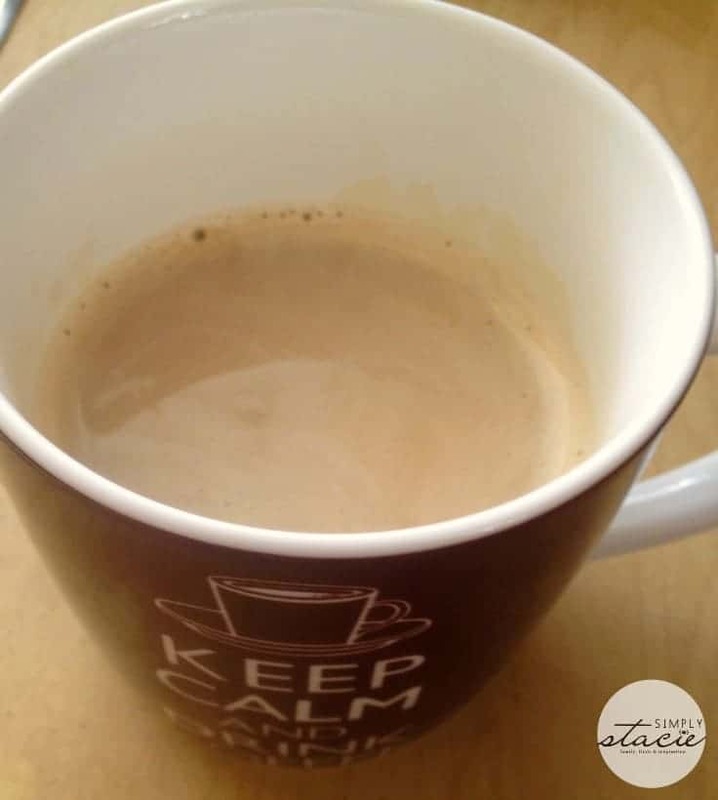 They sent me a card sharing six tips for amazing coffee at home. It starts with the beans, but there are six other things you can do too. It said to not store coffee in the fridge. If you are doing that now, don’t! The recommend squeezing the air out of the closed bag and storing it in a cool, dry, dark place. Good to know. 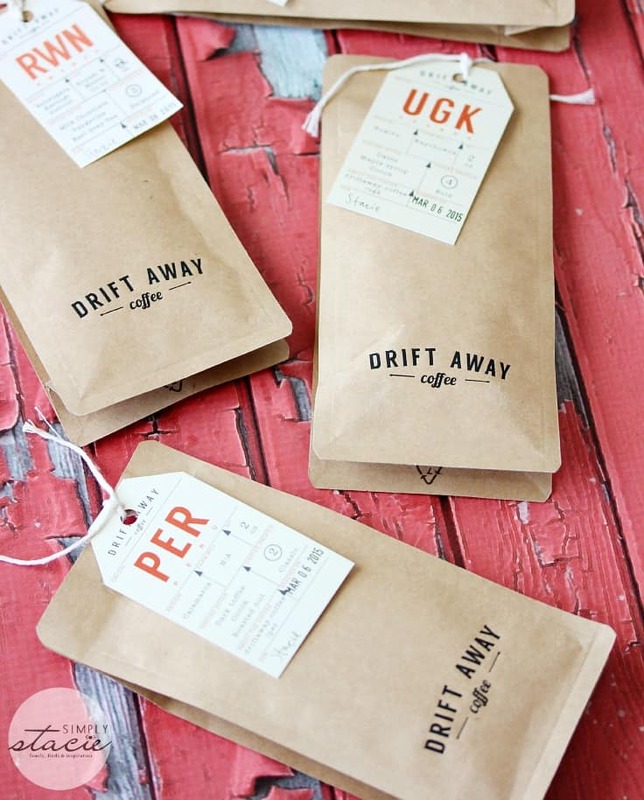 Driftaway Coffee has only single-origin specialty coffees from all over the globe. They roast the coffee themselves right in Brooklyn, NY. The beans are sent out within two days from roasting to ensure you receive fresh coffee. Some of the origins of the coffee sent to me were from countries I never even knew had coffee nor had I ever tried. I received coffee beans from Uganda, Burundi, Rwanda and Peru. Their roast profiles are light, medium and dark roasts and are personalized to suit your tastes. Each little package has a tag with all the info about the coffee including country, region, farm, tasting notes, coffee profile , date it was roasted and a link for more info about that particular roast. Also included was a Coffee Profile card for me to fill out to make notes how I liked each roast. This will help Driftaway Coffee to personalize my experience. Can I just say all of them? It was a hard choice. I thought about it and if I had to pick one I’d say the Fruity profile with its light roasts. This profile is typically the African coffees from Kenya, Ethiopia and Rwanda. A close second would be the Classic profile. It’s also mellow with caramel, chocolate and nut tones. They have two plans you can choose from: Solo and Doppio. Solo has 7 oz. of coffee and and Dopio has 11 oz. of coffee. It’s $4 for the first delivery for both and then $12/month for Solo and $16/month for Doppio. Shipping is free in the USA. They don’t ship to Canada at this time, but are hoping to ship internationally soon. If you rather something different than Solo or Doppio, they let you customize your plan to suit your needs. Need a gift for a coffee lover in your life? Give a Gift-A-Drift. He or she will thank you for such a thoughtful gift. Connect with Driftaway Coffee on Twitter and Instagram. I love that they use single source beans. The coffee from CAJAMARCA sounds wonderful! I learned that all of their coffees are single origin. I liked all the varieties of coffee and how they choose the coffee to send based on your preferences. Looks like they also have Guatemalan and Costa Rican coffees. I like their options for size and frequency of delivery! I’d hate to get behind in my coffee drinking. I like that they also start you out with a sampler pack type shipment to start out with. I like that they take your feedback to send your favorite coffee. Caramel, Roasted Almond, Cocoa the brazil fazenda do serrado coffee blend are all the ingredents that I love caramel, nuts, and chocolate. The founders of Driftaway coffee are coffee lovers themselves and they take great pride in brewing the perfect cup of coffee. I learned that they sample roasting & tasting to develop the right roast profile for their coffees. I would love to try the COSTA RICA TARRAZU. A coffee subscription would make a great gift. I learned they roast the coffees themselves. I like that you can change the frequency of delivery. I learned and love that the creators of Driftaway Coffee started this company to fulfill their desire to create, do work they were passionate about, as well as their need for and interest in great coffee. I like the great variety of coffees that they offer. The CRE COSTA RICA TARRAZU sounds delicious. I really like the CON | COLOMBIA LA UNION DE NARINO. The flavors in this coffee sound really good. I learned you can Pause or Cancel anytime. Deadline for changes to an order is Friday at 11pm. I think the flavors all sound really good. I struggle with trying new coffees because I don’t know what they will taste like. I tend to really like new flavors, but hate to get something and be disappointed. This subscription service would be perfect. I would get new flavors, and learn something about the flavors as well. #4 Bold Profile. sounds amazing!! i learned they have single origin coffees. I love that they have variety to choose your taste to enjoy and discover. They roast on Saturday and ship on MOnday! Wow that is fresh!